As Winstel Controls has listened to our customers needs and diversified; we have extended our reach into many supporting plumbing products. Focused on many of the "technologies" of the plumbing field, Winstel Controls is known for water heater parts, backflow devices and parts as well as gas meters and regulators. Winstel has also added many commercial, industrial plumbing products such as gate valves, butterfly valves, stainless steel valves, gas plug valves, and ball valves. As with all of our business segments, Winstel Controls has selected to work with only the most reputable companies in their particular fields. When it comes to plumbing parts, no name is bigger than Watts Industries and AO Smith. 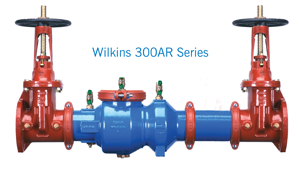 We are proud to be a master distributor for Watts Backflow and the only parts only distributor for AO Smith in the country. When it comes to backflow and water heater parts, call Winstel Controls today to tap into the largest parts inventory in the region. 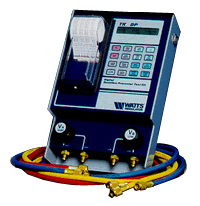 Winstel Controls is also home of Nicholson Lab, the authorized calibration center of all Watts Industries backflow preventer test kits. These test kits include all digital models as well as all analog models. Nicholson Lab is capable of repairing and calibrating all makes and models of backflow test kits including Bacharach, Febco, Ames, Conbraco, Mid-West, and Duke. Nicholson Lab technicians and test kit services are offered and performed at all three Winstel Controls locations. Our turn-around times cannot be beat.